Photo shows: (Left to right) Dodong Cruz of The Youth, Perf de Castro of Rivermaya, Myra Ruaro of Put3ska, and Glenn Jacinto of Teeth; Stephen Lu of Rizal Underground, Noel Palomo of Siakol, Lei Bautista of Prettier than Pink, and Jek Manuel of IAXE Band; Cookie Chua of Color It Red, Wency Cornejo of After Image, Naldy Padilla of Orient Pearl, and Paco Arespacochaga of Introvoys. “The 90s music were statement makers which made them click with a wide audience then, and even with today’s younger generation.” – Audie Gemora of Solaire’s Entertainment Director. Sweet, rock and a whole lot of bold sounds, that was the 90s, an era of statement, making tunes that shook the core and revitalized Philippine music. Hear the pulse raising hits in 90s Overload which will invade the concert scene on November 17, 2018 at The Theatre at Solaire. 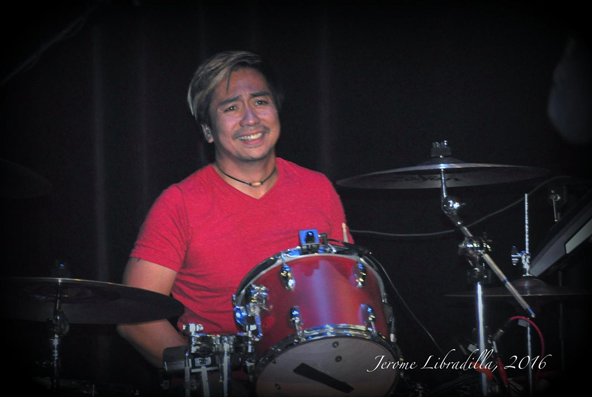 “90s Overload reminisces the era when Original Pilipino Music (OPM) found its footing in the rock scene. The grungy, attitude-filled acoustics merged with the soulful lyrics that is normally the signature of our ballads were what made it appealing and relatable,” states Solaire Resort & Casino’s Director for Entertainment, Audie Gemora. The concert will bring together the 90s most iconic band voices to sweep its audience onto its currents. Jek Manuel (of IAXE Band), Cooky Chua (of Color It Red), Lei Bautista (of Prettier than Pink), Paco Arespacochaga (of Introvoys), Perf De Castro (of Rivermaya), Glenn Jacinto (of Teeth), Wency Cornejo (of After Image), Myra Ruaro (of Put3ska), Naldy Padilla (of Orient Pearl), Dodong Cruz (of The Youth), Stephen Lu (of Rizal Underground) and Noel Palomo (of Siakol), will sing their most prolific songs to bring in the nostalgia tide after tide. 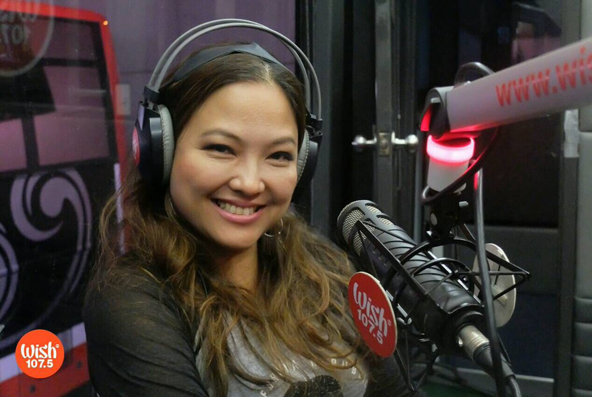 Myra Ruaro shares that the 90s music scene was a time when ingenuity was abundant. “The Pinoy 90s music scene was the time of great musical opportunities for artists and bands with truly creative and unique original compositions. There was so much talent coming from the rock scene and the musicians’ diverse musical personas made the vibe truly exciting and progressive,” she tells. The era’s richness in musical material that spoke to one in a personal level made it difficult for most to pick which they would consider as their 90s anthem. But for some, there are songs that are more long-lasting than others. Cooky Chua cites “Nanaman” from their band’s first album, “Ito yung pinaka unang kantang nasulat ng banda namin for Ateneo Fair,” while Stephen Lu thinks, “It would be “Alapaap.” The lyrics brings us to a different level of high. 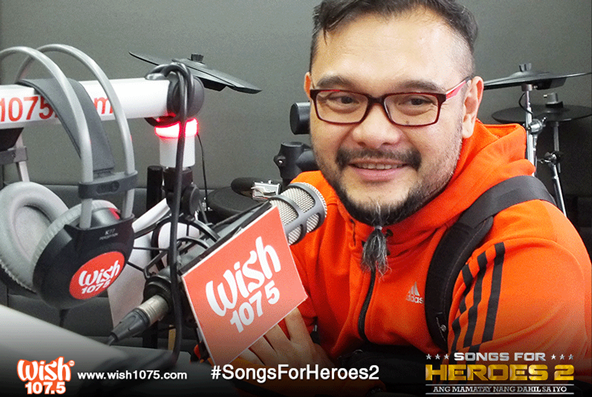 The music has its rock feel but with pop sensibilities. 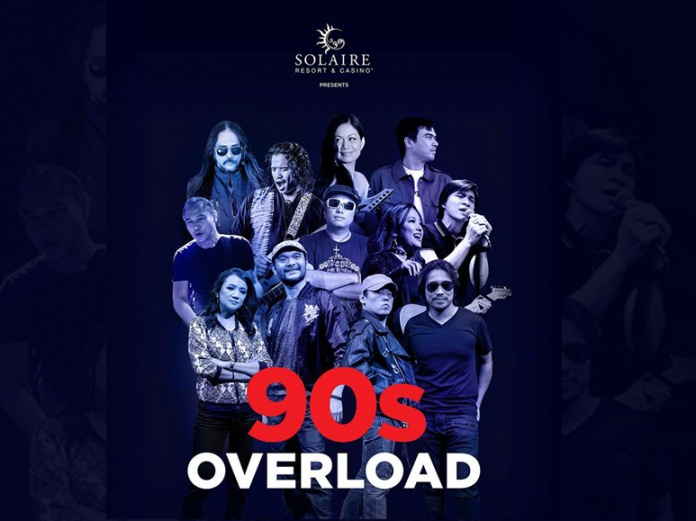 Concert goers will definitely witness a big jamming session of their favorites 90s anthems that will make them unconsciously bob their heads, sing along, and jump up from their seats. For tickets to 90s Overload, you can call TicketWorld at 891-9999.